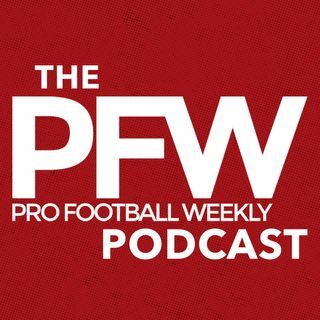 The latest edition of the Pro Football Weekly podcast has us thinking draft prospects. First, host Arthur Arkush talks with Hub Arkush about the latest NFL news and rumors. What's going on with Roger Goodell? How about the San Francisco 49ers and Colin Kaepernick? Finally, are the Patriots winning the offseason? Then, PFW Draft expert Greg Gabriel talks about the latest news regarding offensive prospects in the NFL Draft. Next week, we'll talk about the latest prospects in the NFL ... See More Draft on defense with Gabriel.